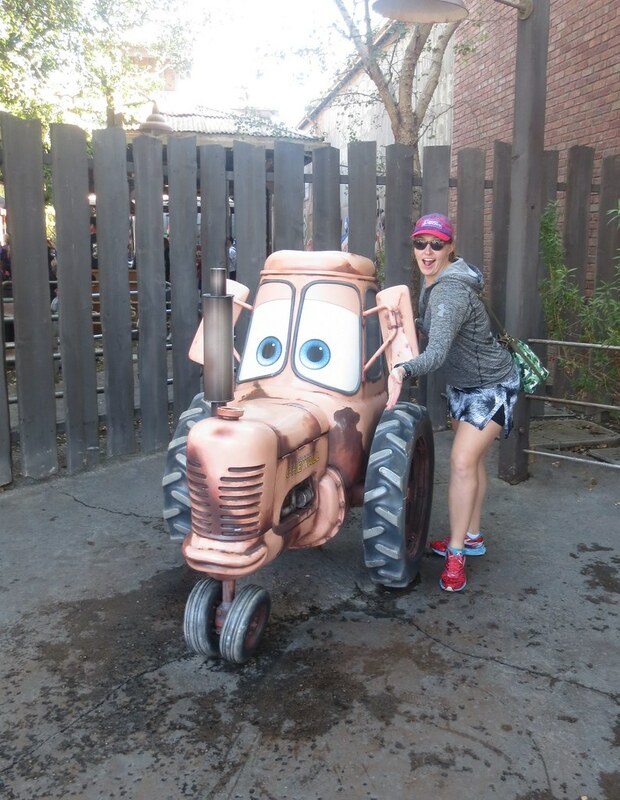 Back with part two of my Disneyland trip. If you missed part one, click here. Since we figured out the Starbucks situation the previous day, on Tuesday, February 13, we headed to the park early again, thinking it opened at 8am. Nope, it was at nine. Happily, this meant even more time to get B and I coffee (and we ended up getting my sister-in-law a latte as well). Sweet, beautiful caffeine, how I love you. 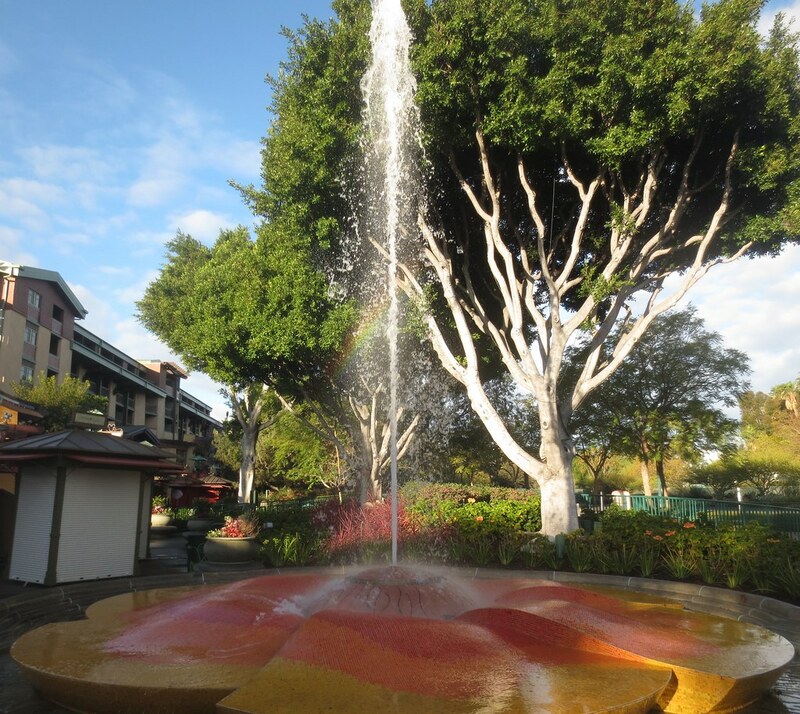 Fountain (with rainbow!) in Downtown Disney. 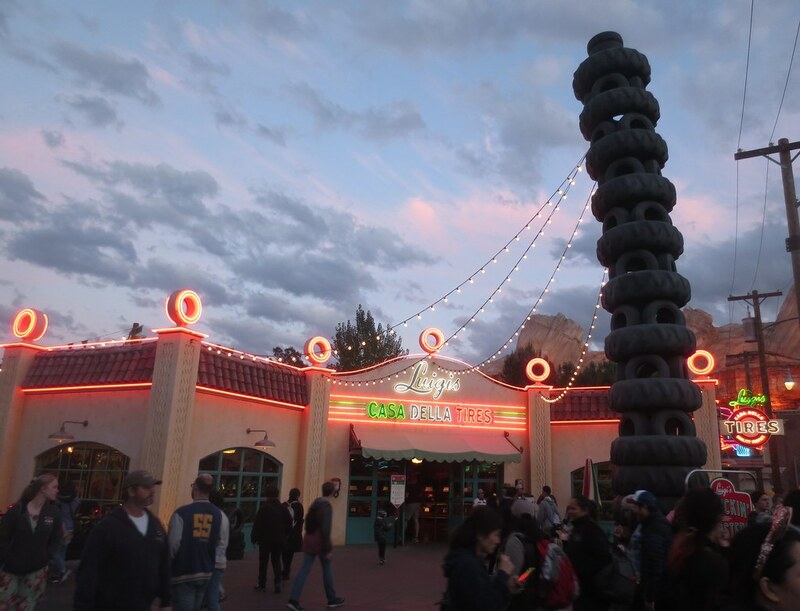 Apparently, the thing to do with Disney California Adventure, is to gate rush the Radiator Springs Racers (do that as your very first FastPass of the day) and then, get another one for later … since if you do it an hour after you ride, your FP will probably be for sometime that afternoon. Yeah. It’s that popular. 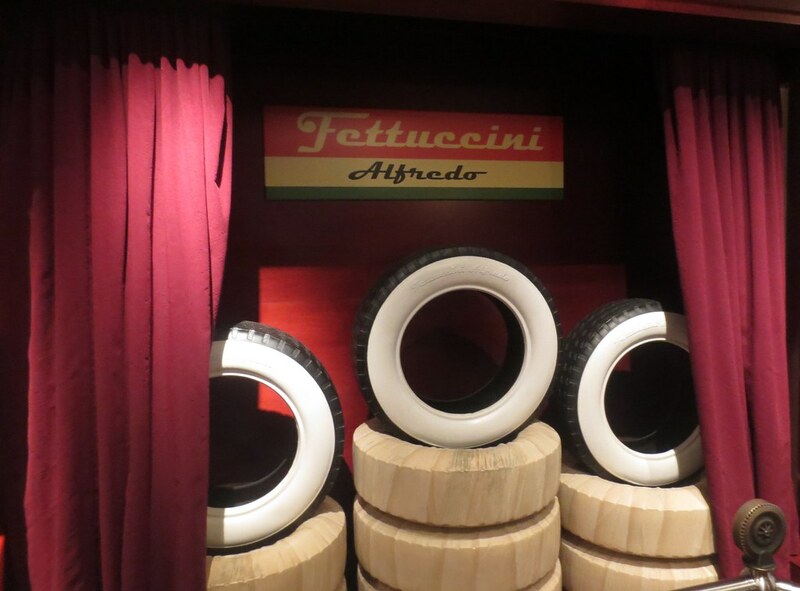 We rode this one with Stefan and Amelia; it was a fun, Cars-themed ride (pseudo-coaster). We won, so woo! Our next FP wasn’t for a little while, so we split up from my family for a little while and walked around. 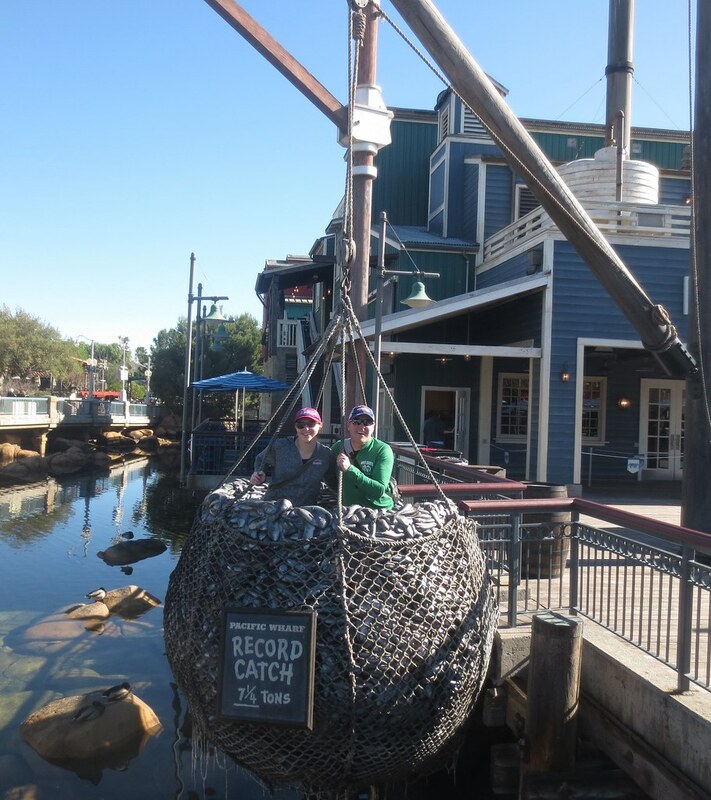 We did The Little Mermaid – Ariel’s Undersea Adventure on a whim since there was no wait. The ride was a super loose retelling of the movie and super, super cheesy. 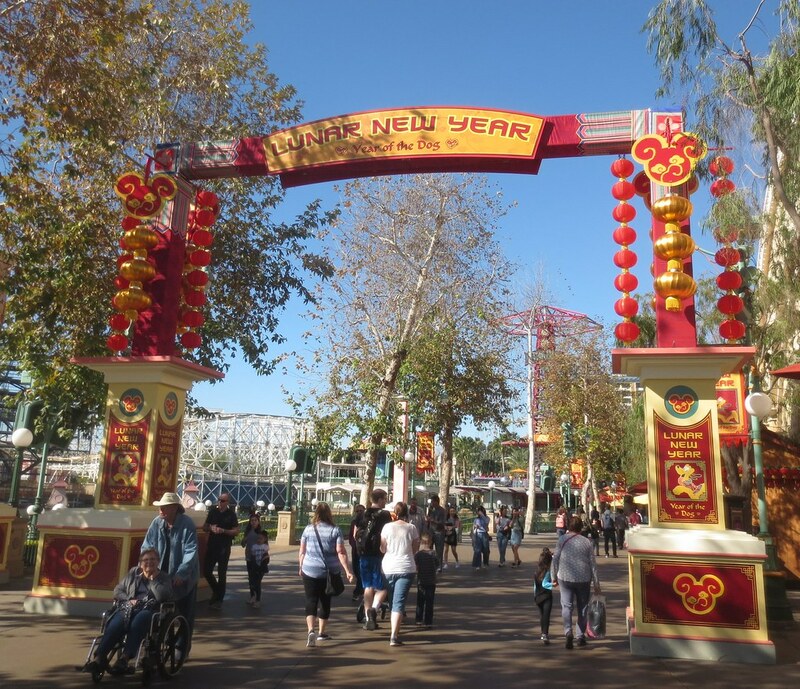 All dressed up for Lunar New Year. 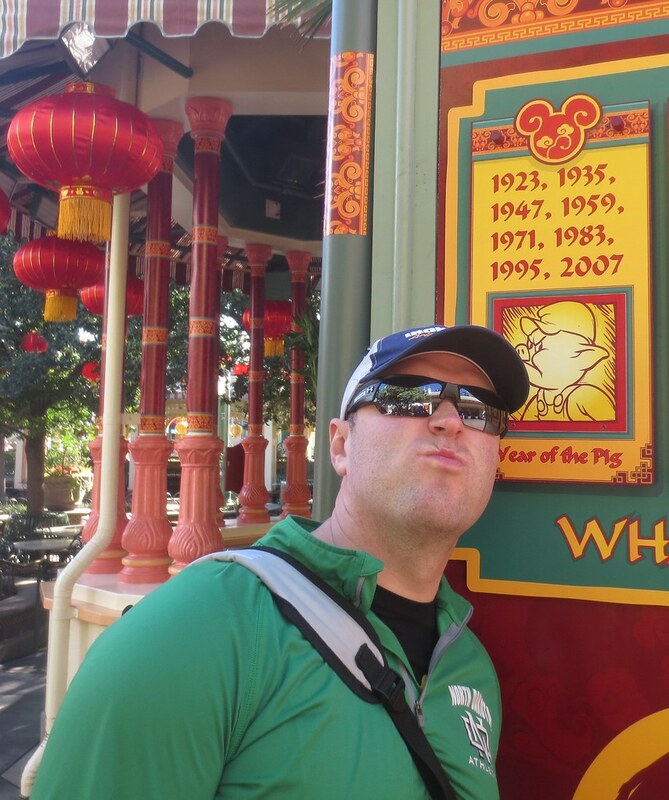 We’re both year of the pig/boar. 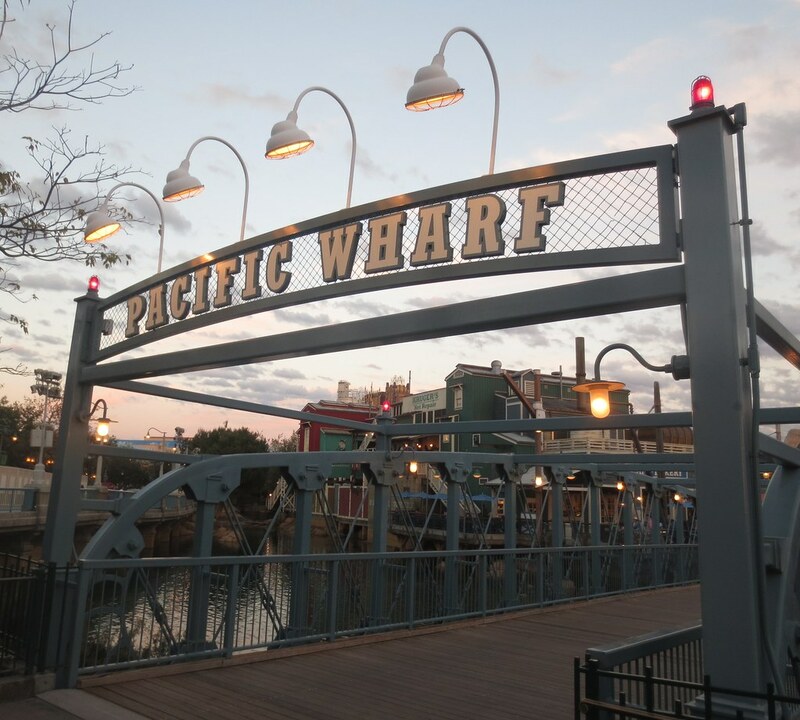 When they opened up the bridge over to the other side of Paradise Pier, we popped on over. As we were still waiting for the family (we all had FPs together), we popped on King Triton’s Carousel. 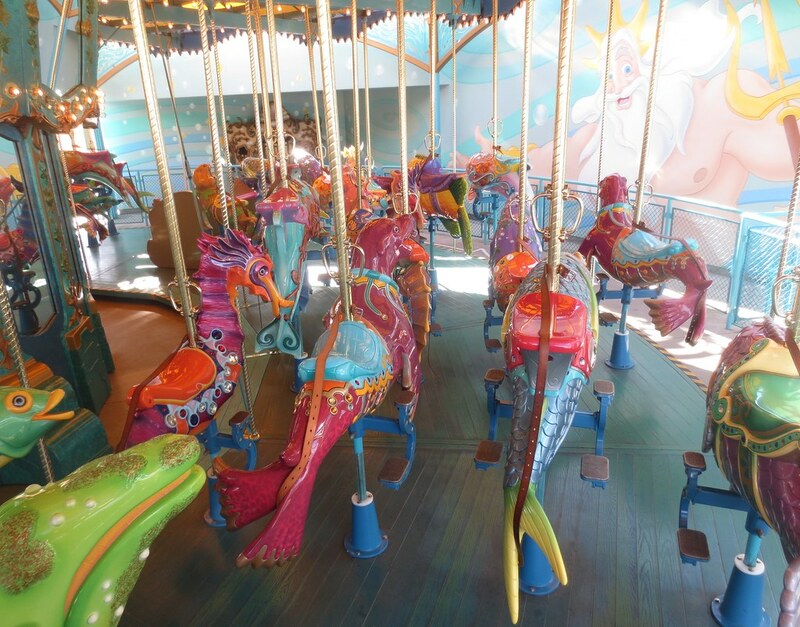 It’s really funny how much a carousel can make you dizzy … even with the Dramamine. Just made me even more happy I avoided the damn tea cups the day prior. Our next pass was for Toy Story Midway Mania!, another shooting-type game. We did this with all six of us. My brother got the highest score, then Brandon, then me in a distant, distant third. Jax, our 1.5-year-old, got none. I would have found it hysterical if he had gotten *something*. B and I split off again to go do some rides on our own. B stopped at a cart for a churro and I hopped into Fiddler, Fifer, and Practical Cafe for a croissant/cinnamon roll hybrid that was DELICIOUS as well as a miniature California Adventure Starbucks mug. 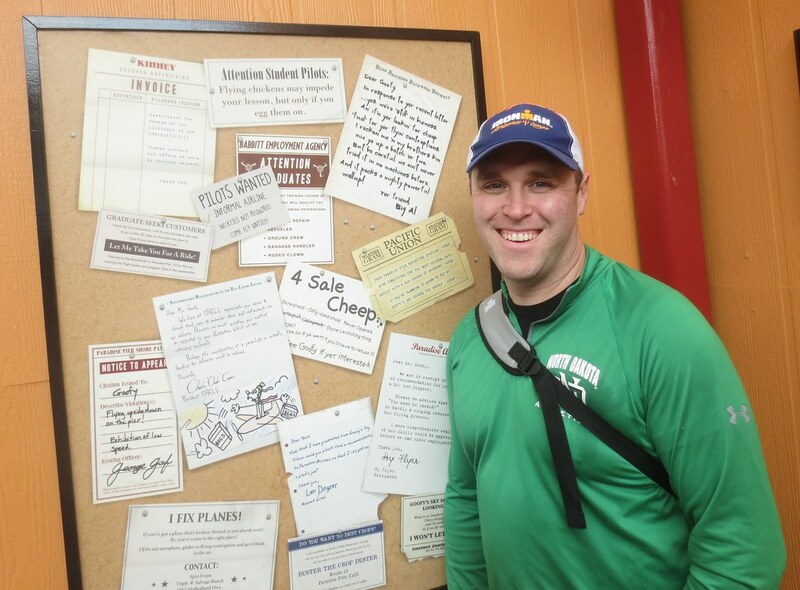 Post-snack, our next FP was ready, so we did Soarin’ Around the World. There’s a huge error in Patrick Warburton’s costume in the mini video they show before getting on … which you probably won’t catch unless you’re really familiar with the aviation industry. Like we are. The ride itself was okay. Apparently it was better when it was Soarin’ Over California. I think it would have been better had the trip around the world made better geographical sense (like let’s *actually* go in the correct order guys). Since it was kind of cold and therefore had no line, we next hit up Grizzly River Run. It’s one of your generic water splash rides (like Disaster Canyon at local park Elitch Gardens), but I like those. We got sufficiently wet – B moreso than I. I got myself some popcorn while he attempted to dry out. I’m thankful I had an extra pair of socks on me, as he soaked his. He had his wet pair hanging out of his bag to dry out … but they became our second and only park casualty (the other being a hair tie I lost on Space Mountain the previous day). 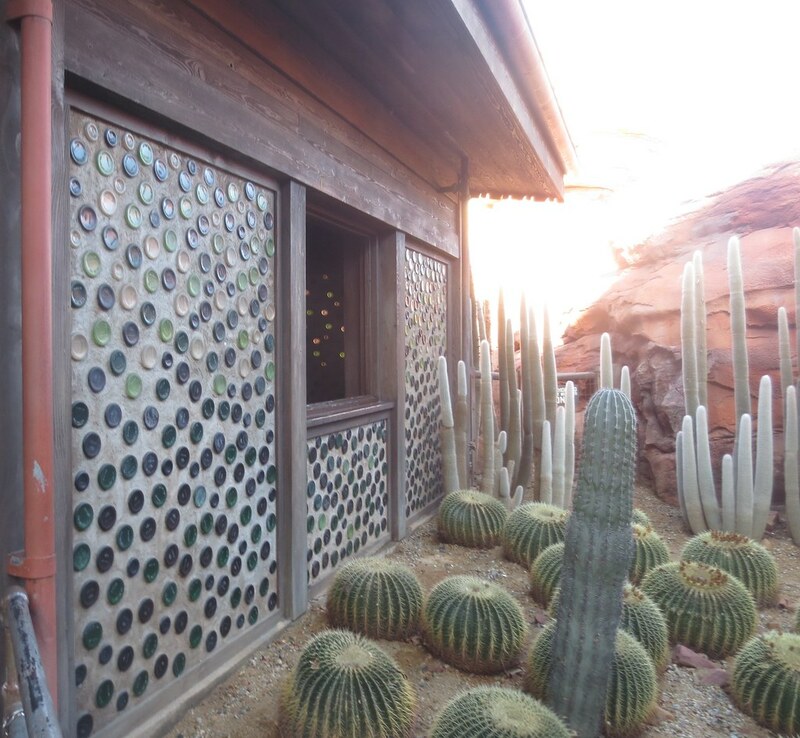 Our next FP was at Goofy’s Sky School (because why not). It was a tiny, short, fun little coaster. We were trying to be smarter about eating, so we got soup in breadbowls (me clam chowder and B broccoli cheese) at the Pacific Wharf Cafe. The soups were average, but I love good sourdough and this was some of the best. Food eaten, we strolled over to Hollywood Land and chilled out in the atrium of Disney Animation for a while, sitting down and chilling out to clips from Disney movies. It was quite glorious. The official reason for sitting around a while was waiting for my brother and family to wander over. 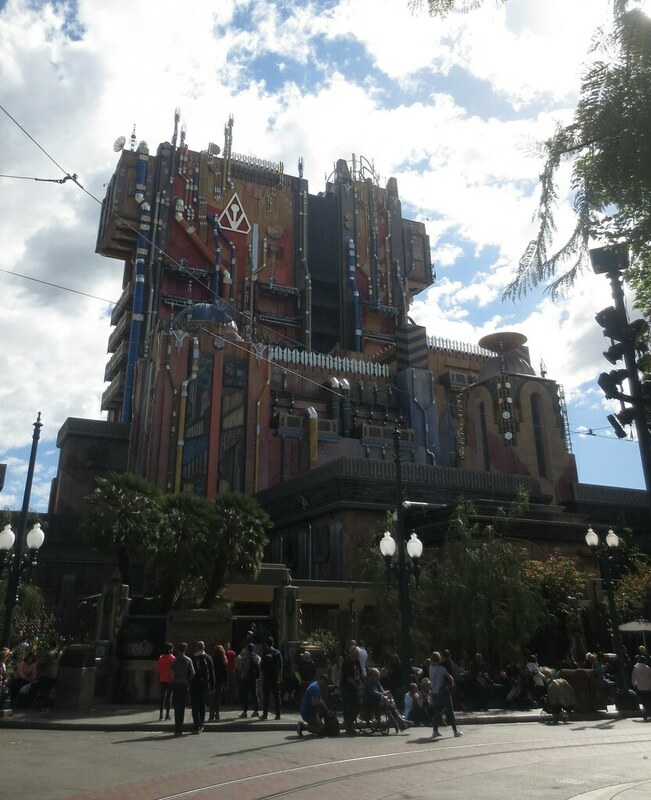 Our next FP was for Guardians of the Galaxy – Mission: BREAKOUT!. Stefan’s wasn’t until a bit later … but he weaseled his way on saying his FP wasn’t working or something. 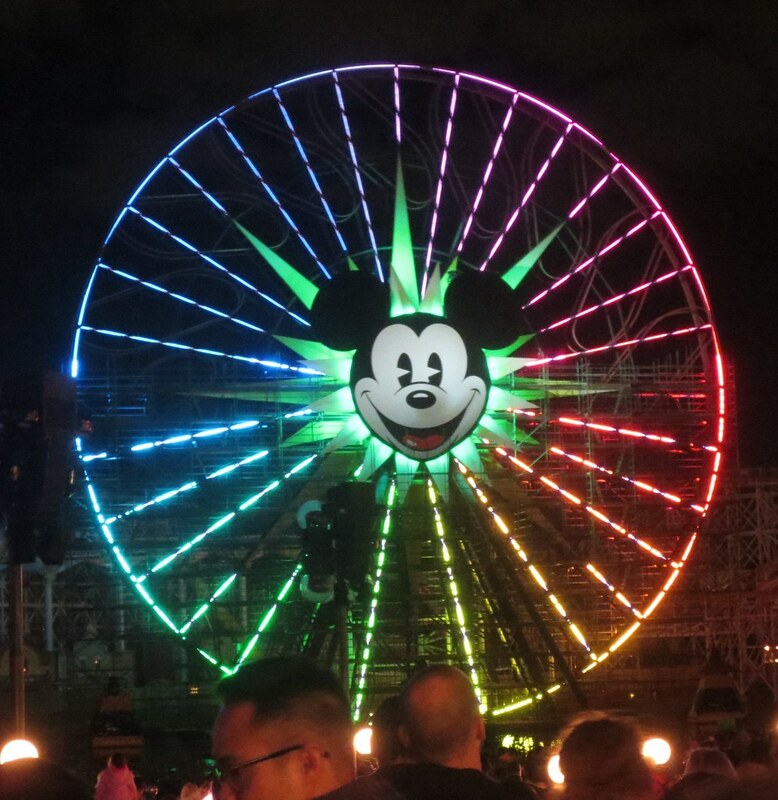 Apparently this was something they did at Disney World a bit … but. Please don’t do this. The guy let him on, but he clearly knew he was gaming the system. Customer service standards dictated that he couldn’t tell my brother to eff off, but I know he wanted to. People, don’t be assholes. Just wait your damn turn. The ride itself, the former Tower of Terror, made me very happy for the Dramamine. I will say that had I been more familiar with GotG I may have enjoyed it more. 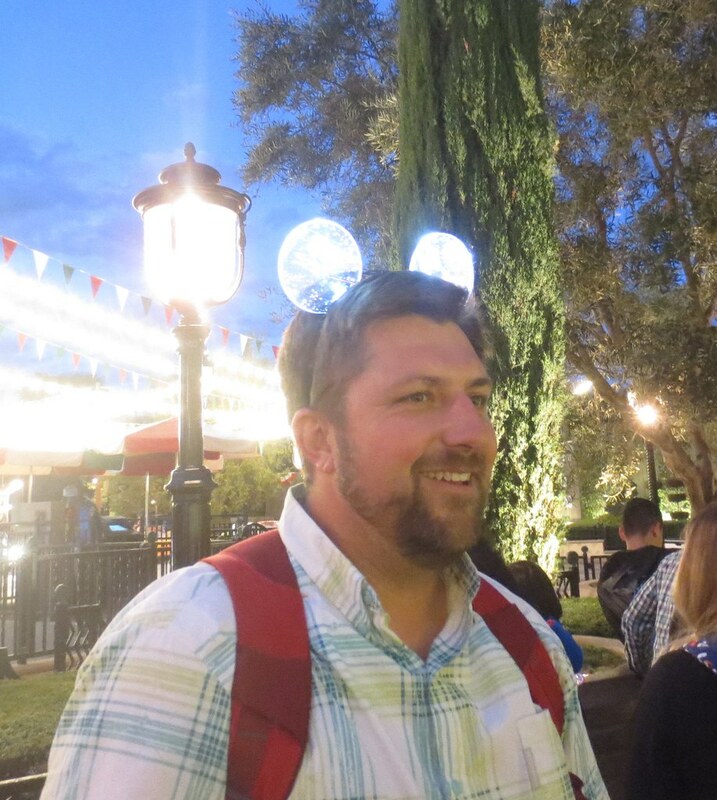 Stefan went off for chowder and beer after this while his wife and daughter hit up Frozen – Live at the Hyperion … we wanted to do neither so we actually finally utilized our Park Hopper and escaped back over to Disneyland. Our first stop was at B’s favorite, Buzz Lightyear Astro Blasters … where he proceeded to destroy me. My forearm also cramped up pretty badly (stupid barista arm). Since it was Mardi Gras, our next stop was back over to New Orleans Square. B got another frozen Mickey bar of death (well. frozen Mickey ice cream sandwich of death to be accurate), which we ate while watching a jazz band. We also got B another character picture. 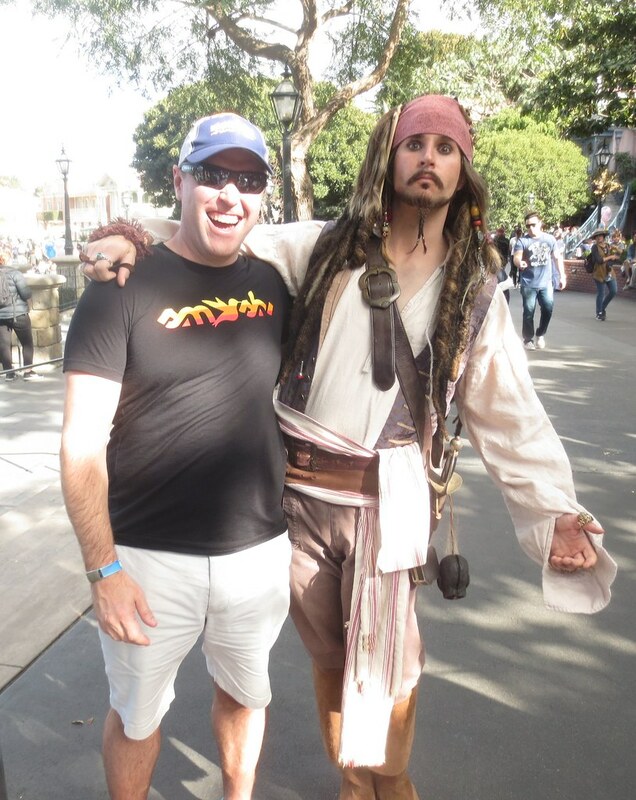 With, as he reminded us, Captain Jack Sparrow. 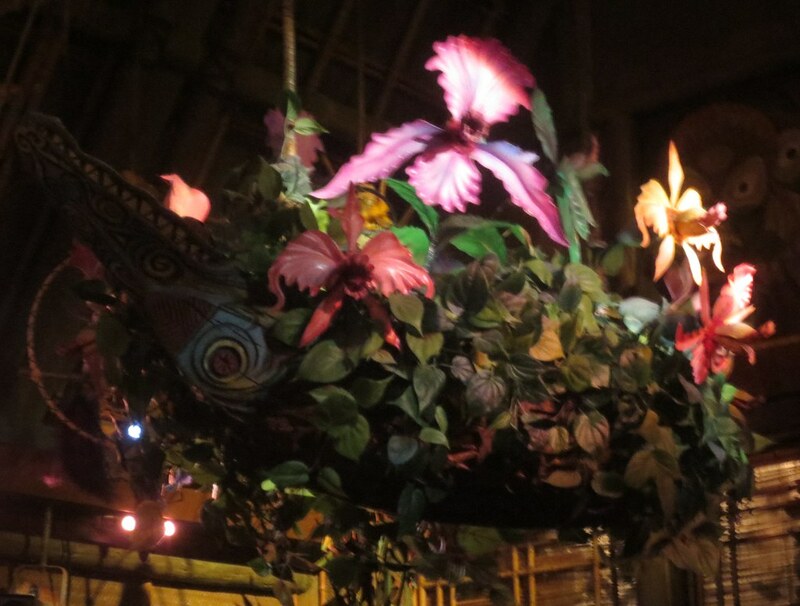 One of the “rides” I missed the day previous that I really wanted to do was the Enchanted Tiki Room, so that was next. So cheesy. But why the eff not? 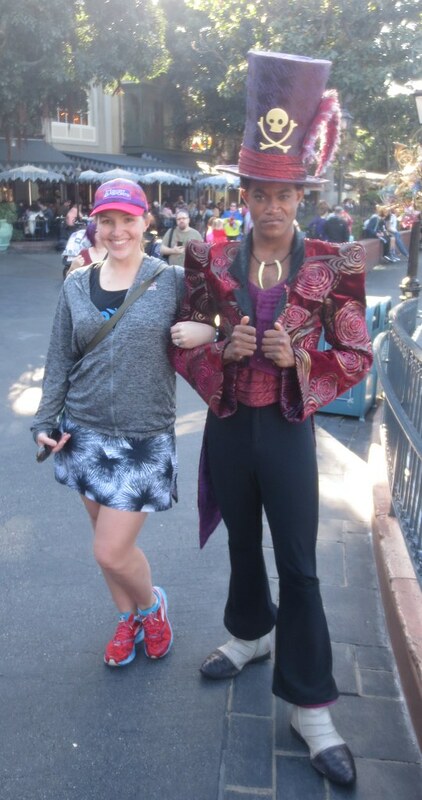 Then back over to New Orleans Square since I knew Dr. Facilier from The Princess and the Frog was wandering around and since it was Mardi Gras, I wanted a picture with a character from the New Orleans-based movie. 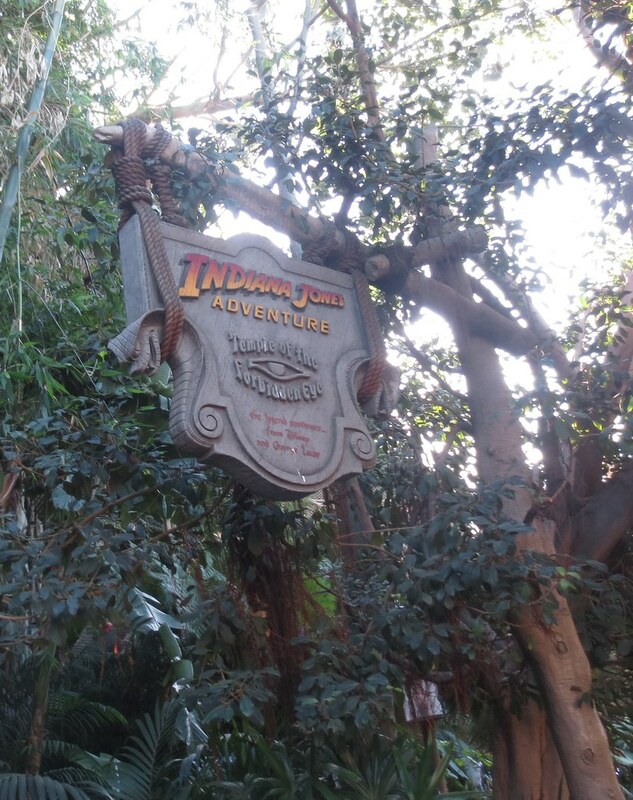 Because we could – and, well, Indy – we rode Indiana Jones Adventure again too. It didn’t break down which was wonderful *and* B asked if we could ride so I could be up front at the wheel of the car which was totally kind of fun. Because I didn’t get a good picture of the sign the day previous. We split up afterward – I hit up the French Market Restaurant to purchase some beignets for everyone as a Mardi Gras treat while B got in line for the Astro Orbiter. Thankfully I made it over to him right as he got on the ride. We did some more Astro Blasters afterward (because why not) where I destroyed B – therefore winning the best-of-three series – and went back to the Market House so I could get a full-sized Disneyland Starbucks mug for my sister-in-law and a mini one for us before heading back over to California Adventure. I delivered beignets to the fam, we all walked back to Cars Land. From here, we all split. Nicole took Amelia and Jax to “meet” Lightning McQueen and a few rides, my brother absconded with B for another ride on Radiator Springs Racers … and I peeled off to get some sunset photos. Magical sunset in a magical place. Got super lucky with a break in the people for this one. 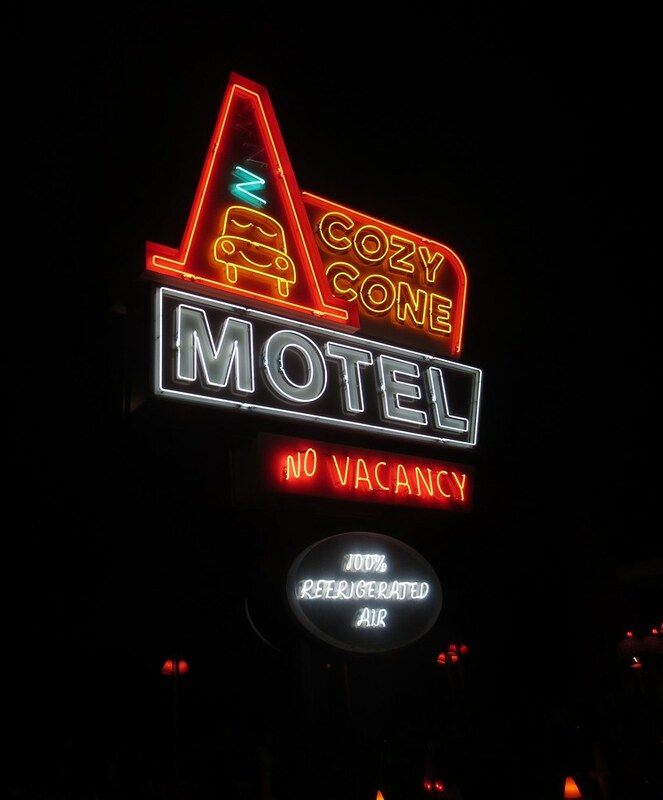 Cars Land is magical at night. 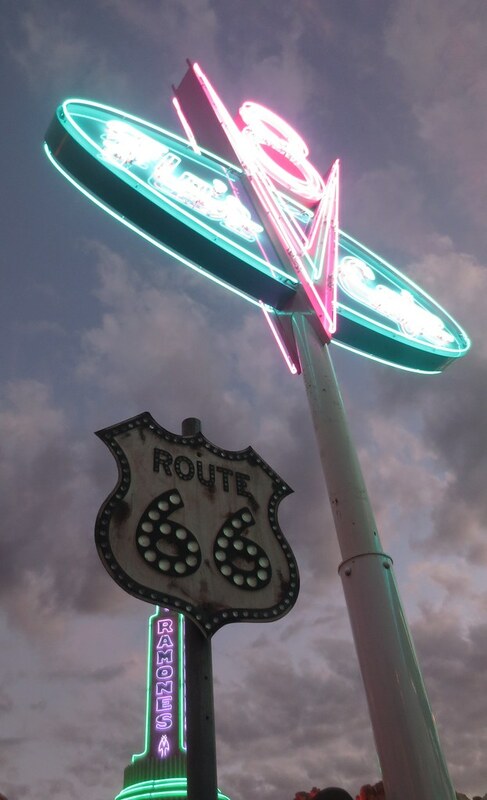 B said that if you weren’t familiar with the movie, you could easily think this was taken on the actual Route 66. We all met up to do Luigi’s Rollickin’ Roadsters. B and I took Amelia while Stefan and Nicole rode with Jax. In line, straight out of the movie. In line. My brother bought Star Wars ears. The ride itself was okay. Definitely more fun for smaller kids. B bought a Dinoco shirt at a shop dressed up as the Radiator Springs Curio shop and I took a few more photos on the way to dinner. 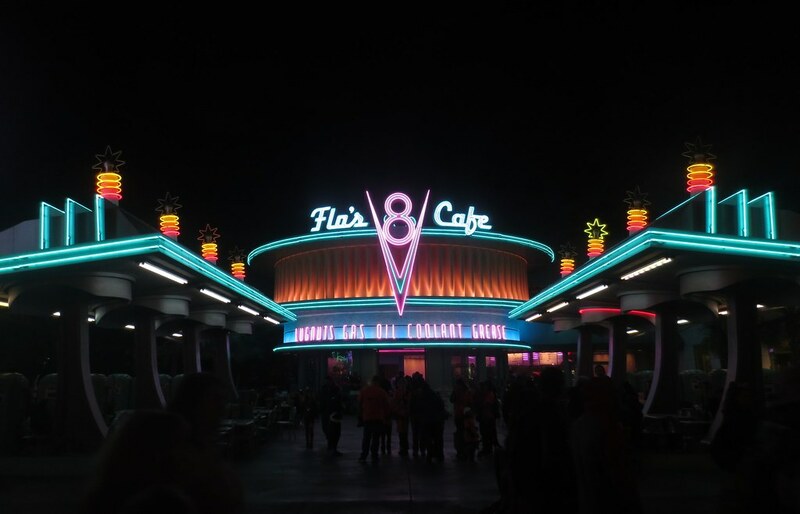 As someone who loves neon, I loved Flo’s at night. Nicole made reservations for all of us at Wine Country Trattoria. The pinot noir I had was okay (I think B’s was better). 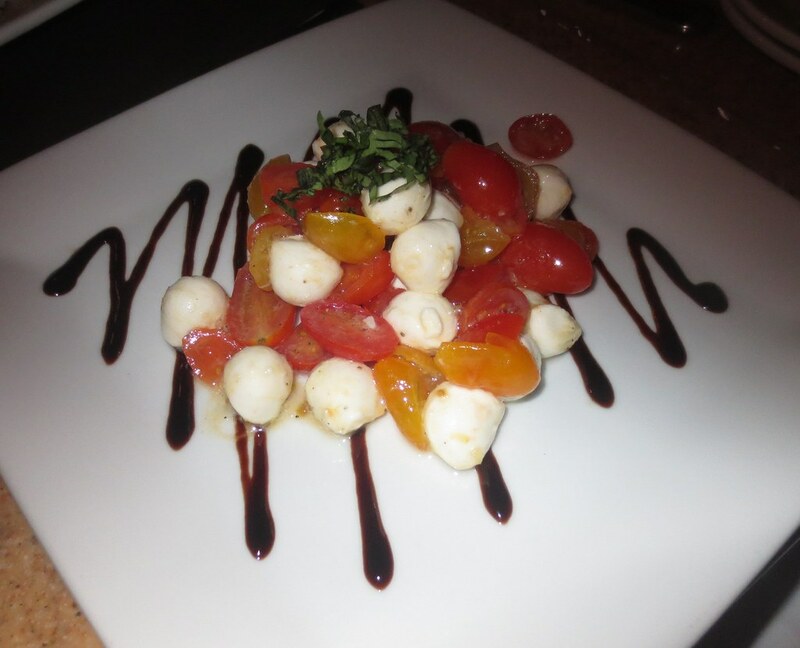 The caprese salad we split was delicious (and photogenic). (not my most favorite meal, but also not the worst I’ve had). Post-dinner, the park was unfortunately closed (or closing) – 8pm. 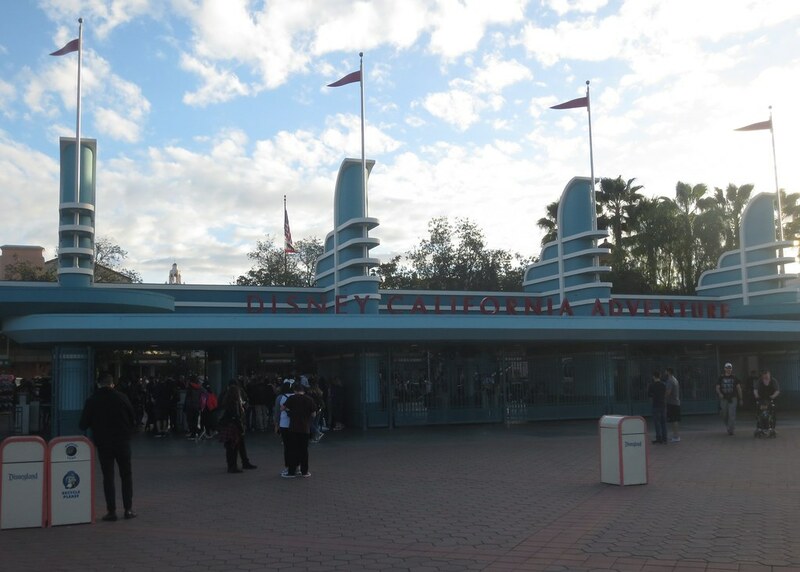 Shorter hours that day at California Adventure, maybe? We popped into the World of Disney store in Downtown Disney on our way out and got me a shirt and a few more ornaments for the tree. It was a long, exhausting day. As you can see, we fit in a LOT of rides and attractions. 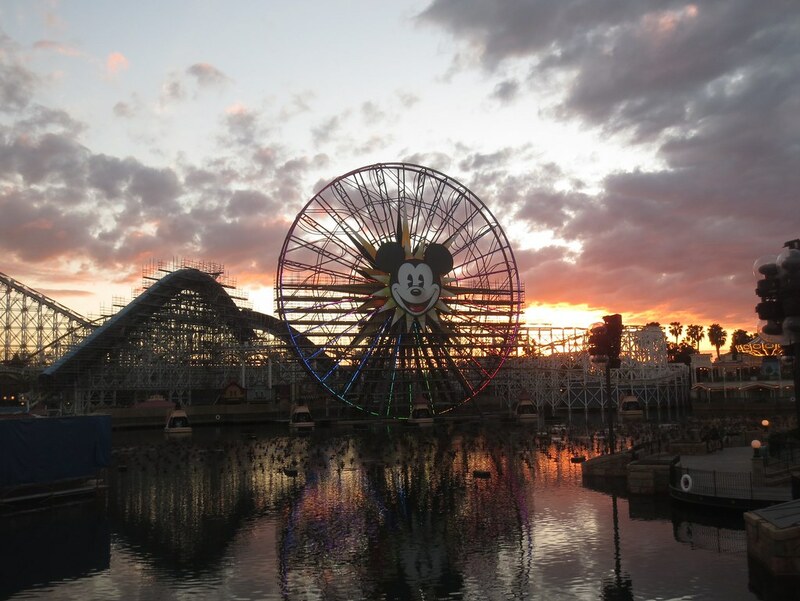 The Park Hopper was definitely worth it as it was nice to get out of CA for a little while. It might have possibly been a bit too much time around my brother (I love him, but I don’t always like him) and his cute, but energy-sucking kids (this introvert was dying). 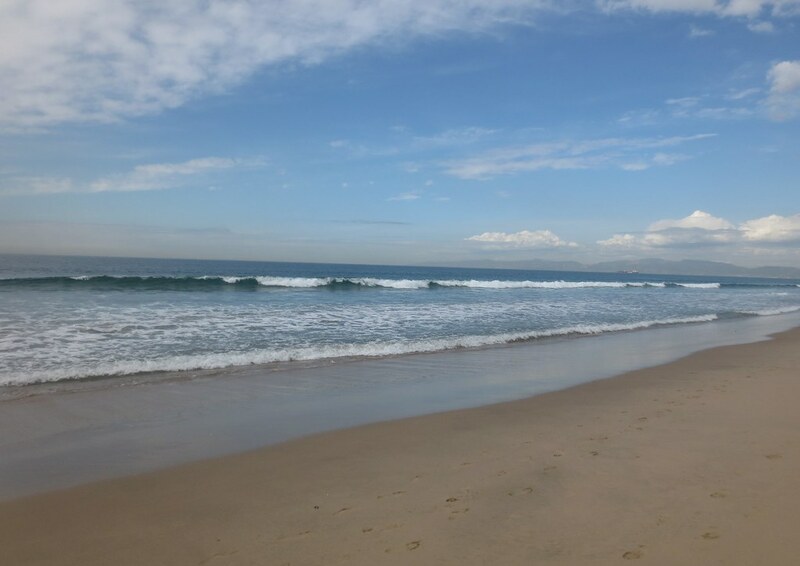 We had a lazy morning on Wednesday, February 14, and we unfortunately weren’t able to do anything together for Valentine’s Day, but we did hit up the beach for a few minutes before B had to drop me back off at the airport. Perfect, peaceful way to end the trip. 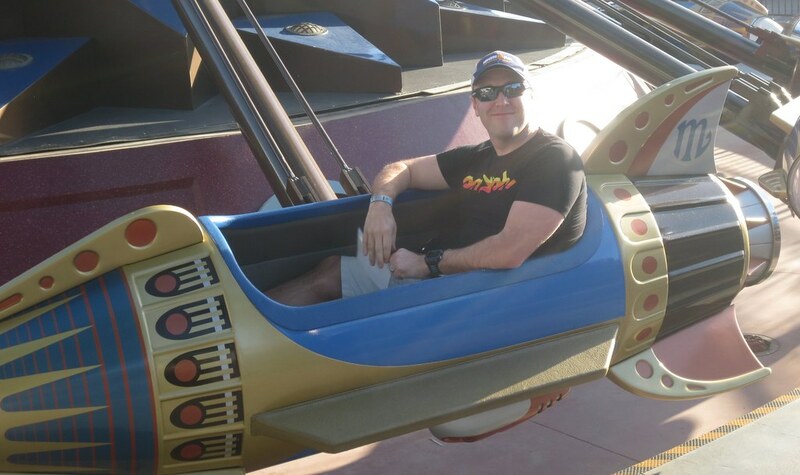 Disney was fun for my first time back in damn near 30 years. We’re discussing doing Walt Disney World in a year or two. Will I be back to Disneyland? Probably … but I don’t honestly think I need to for at least five years.